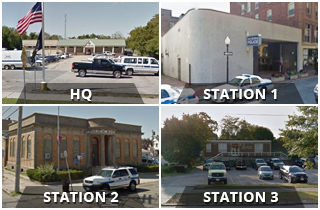 Visitors to three of our New Bedford Police stations will soon see new signs over the entryway. 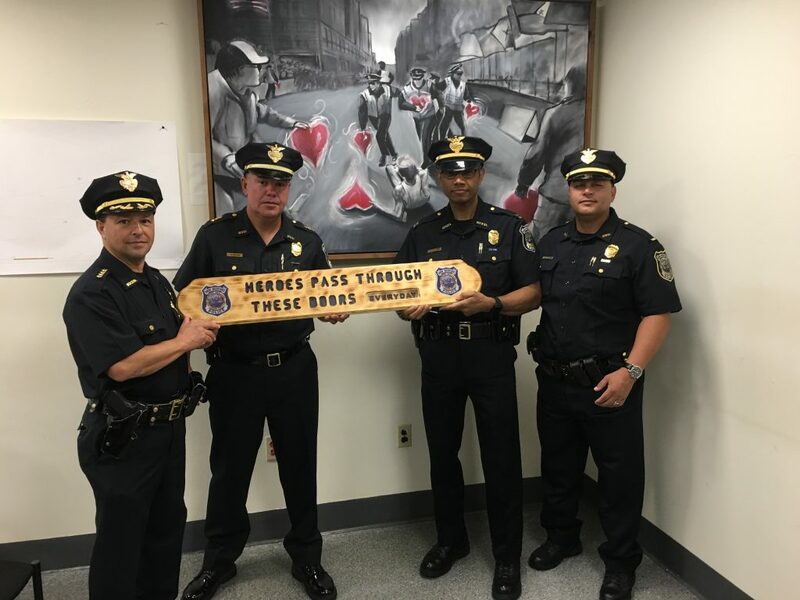 Chief Joseph Cordeiro purchased signs created by retired city employee Luis Bolarinho that read “Heroes pass through these doors everyday.” The signs are a reminder to the officers and the public that the work they do is truly heroic. At Station 2 in the south end, from left, Chief Joseph Cordeiro, Capt. Dennis Ledo, Lt. Nathaniel Rodriguez. 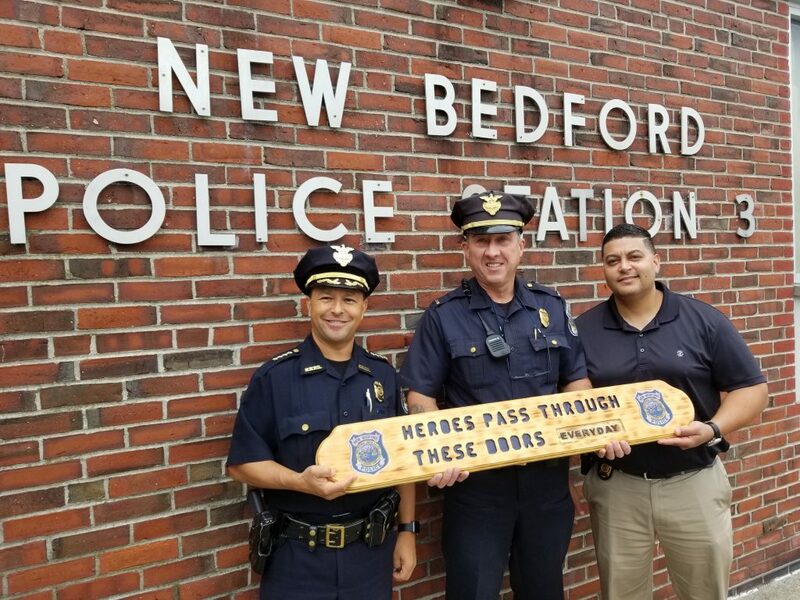 At Station 3 in the north end, from left, Chief Joseph Cordeiro, Lt. Paul Demers, Lt. Nathaniel Rodriguez. 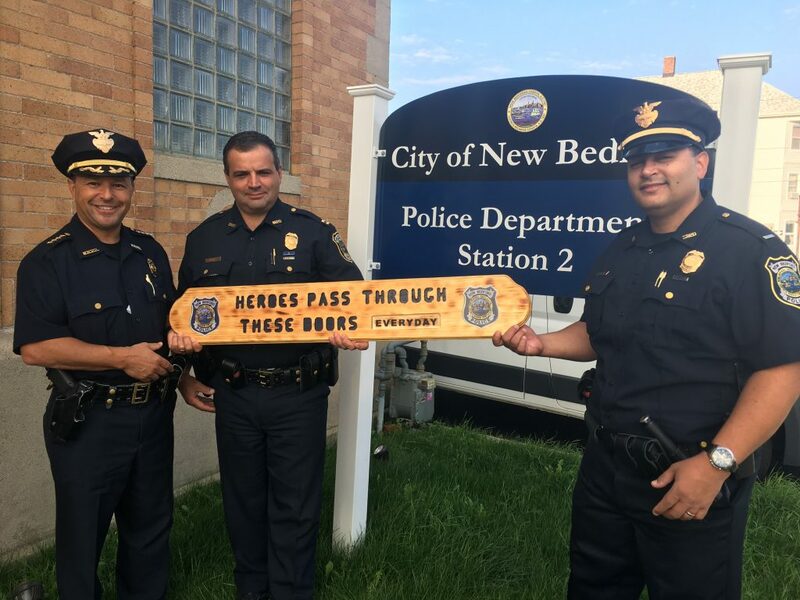 At Station 1, downtown, from left, Chief Joseph Cordeiro, Deputy Chief Paul Oliveira, Capt. Frank Correia and Lt. Nathaniel Rodriguez.